For experienced and compassionate representation for an estate planning or elder law matter, people in San Jose, California, turn to Silicon Valley Elder Law, P.C. The founder of our law office, Naomi Comfort, leverages nearly 15 years of practice as well as a background in psychology and mental health to advocate knowledgably for clients. No matter what challenges they face, Ms. Comfort takes the time to understand individual needs and goals before crafting a tailored asset-management plan. We also engage in care planning for cases where family members become suddenly incapacitated or injured. With a care plan in place, clients are able to update an estate plan, access provisions for end-of-life care and locate helpful community resources. We meet people wherever is easiest for them, from hospital rooms and independent living facilities to their homes and our law office. 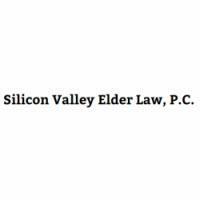 Silicon Valley Elder Law, P.C. accepts credit cards as payment and welcomes prospective clients to arrange a preliminary consultation. We work with people in San Jose and greater Santa Clara County.